Fans of city building games all over the world! We know you have been eagerly waiting for February 26th, to start building your prospering town that will become a mighty metropolis one day. And rejoice: The release date of Townsmen – A Kingdom Rebuilt is rock-solid on February 26th 2019. More great news for all loyal Townsmenfolk: When the new Kingdom comes, it will appear completely free in your great library of noble video games, if you own the original 2016’s Townsmen. Townsmen – A Kingdom Rebuilt will be available on February 26th 2019 for PC. The price is €19.99 $19.99 £16.99 but the game will be added free of charge to all existing owners of the original 2016’s Townsmen. 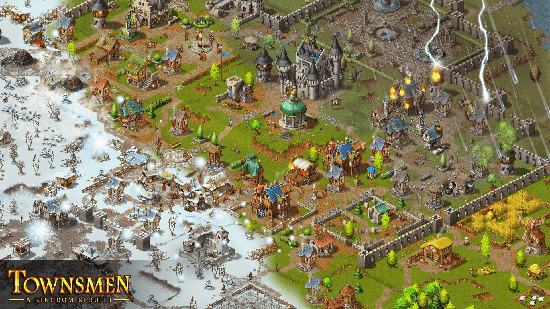 Townsmen – A Kingdom Rebuilt is developed and published by HandyGames, a THQ Nordic company.